Vegetable gardening in Austin, Texas has challenges as well as many rewards. The summers are hot and humid compared to other parts of the country, but the winters are mild. Gardeners can grow vegetables year round. Austin is located in the hill country of central Texas, where the city enjoys surrounding lakes and many wildflowers. Successful vegetable growing in Austin depends on adapting to the soil and the weather environments of the area. Austin has a garden zone readiness that is between zone 8 and zone 9. Choosing vegetables that grow well in this environment is important. It is also important to shield more delicate vegetables from the intense heat that summers may bring. Most rainstorms in Austin happen during the spring. Summers are hot, with the temperatures from June to September averaging 90 degrees or above. The humidity is around 80% throughout much of the year. While winters are mild, expect a couple days of below-freezing temperatures. Gardeners should shield susceptible vegetables during those times. On average, Austin gets around 30 to 35 inches of rainfall annually. Watering will be less of an issue during the rainy months, but keeping the vegetable plants well-watered and tended will ensure stronger plants for healthier produce year round. With this weather climate, it is best to follow the first and last freeze dates when sowing seeds. The first freeze-free date is usually between February 1st and March 15th, while the last freeze-free date is around the end of November. Check the seed packets to plan the best dates for planting seeds outdoors. Starting seeds indoors may be best for more fragile vegetables, or those gardeners wanting to get an early start. The Austin area is surrounded by limestone, and depending on where the garden is located, it may be sandy or clay-like. Have the soil tested to check the pH levels as Austin-area soils tend to be more alkaline. Amend the soil as needed for acid-loving vegetables like tomatoes, peppers and beans. Recommended times to plant are found on the backs of seed packets or on seedling containers. Local garden centers will have vegetable plants available during optimum planting times as well. 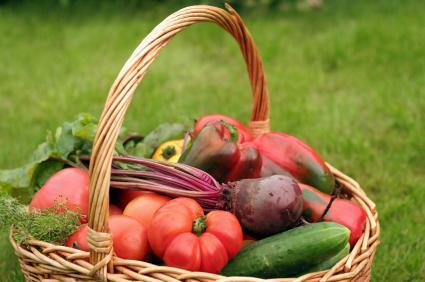 For a more detailed list of vegetables that can be planted during the spring, summer, fall and winter months, visit the Travis County Agrilife Extension Service. Gardening clubs and horticulture groups have a wealth of information for their members. They can also provide help or resource contacts to local gardeners. The Austin area has many active gardening groups. For further research on vegetable gardening in Austin, Texas, try books dedicated to gardening in Texas. Neil Sperry's Complete Guide to Texas Gardening and The New Central Texas Gardener by Cheryl Hazeltine, are two helpful guides for gardening in the region.